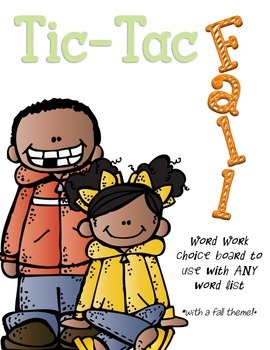 Need an engaging way for students to practice/learn their words (spelling, high frequency, phonics skill)? This packet will be a great way to not only reinforce spelling, but is also highly motivating! The theme of this packet has a FALL theme! 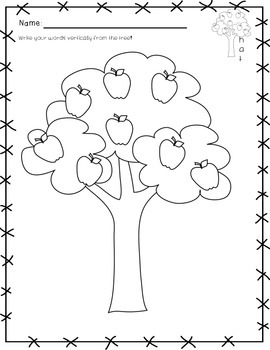 This can also be used as an activity for those students who are early finishers! 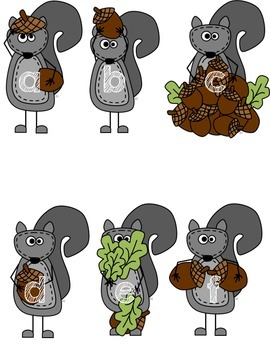 This packet includes all of the "materials" that you would need and it can be used for weeks, since they are picking the ways they want to learn and practice their words. New words-new week-same tic-tac-toe board with no further instruction needed that week, since they know what to do! 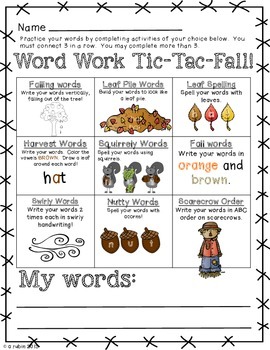 Falling Words-writing words vertically, falllng out of a tree! I also included brief notes/directions for you on different variations for some of the activities.